You might not know it until the damage is done, but if you have a busy home you are almost certainly going to want to decorate with washable paint. How many times have you used your hallway wall as a leaning post to take your shoes off? Or watched the kids trail their hands along their playroom wall? Or had a cooking mishap involving tomato sauce? No matter what type of household, messy, clean, child-filled or quiet – a paint you can wipe, or even scrub clean is essential. So, here we have rounded up the best washable paints around for all those high traffic areas at risk of splashes, spills, scuffs and stains. For more advice and help designing your hallway, head to our paint hub page for recommendations. For a bargain, see the best paint deals. WHAT IS THE BEST WASHABLE PAINT? When it comes to washable wall paint, the Dulux Easycare range is hard to beat. It’s not just washable, it’s scrubbable, meaning that, no matter how many times your kids have wiped their sticky fingers all over the walls, paint won't be coming off any time soon. If a fizzy drink or a pen mark happens to find its way on to the wall, this paint actively repels liquid stains, too. If you’re more focussed on depth of colour of the paint than its resistance to stains, have a look at Farrow & Ball's Matt Estate Emulsion Paint. With the brand boasting that their paint has more pigment in every tin than other emulsion, your hallway should benefit from an incredible depth of colour. HOW TO BUY THE BEST WASHABLE PAINT? Depending on personal preference, washable paints come in lots of different finishes including matt and silk. Silk has a soft sheen and reflects light differently to matt so choose a finish that matches your style. A quicker drying time is more ideal for those who live in a busy household, but again, this is down to personal preference as some quick-drying paints may be more expensive. The majority of washable paints are available in several different colours, so there's no need to settle for brilliant white – unless you want to of course. While the colour pigmentation may not match up to more expensive brands like Farrow & Ball, for its durability and resistance to stains, we have to place this paint from Dulux at the top of the list. It's 20 times tougher than standard Dulux Matt Emulsion so, whether its sticky fingerprints or mud stains, you’ll be able to scrub your wall clean without taking off any of the paint with it. We think this is the best washable paint you can buy, especially if you're re-painting your hallway. Crown offer a great alternative with their Hall and Stairs range. Similarly to the Dulux Easycare Matt Emulsion Paint, this range of paint is 20 times tougher than their standard matt emulsion range. Thanks to the innovative formula, stains and marks can be wiped clean without damaging the paint coat. There are 22 tonal colours to choose from, including whites, creams, neutrals, greens and blues, giving you plenty of choice when it comes to decorating your home. The fact it dries in one to two hours makes this our pick of the best washable paint if you need something that dries fast! If quality of colour is key to you, Farrow & Ball’s Matt Estate Emulsion Paint is the best washable paint you're going to get. With the brand boasting that their paint contains more colour pigments than other emulsions, those looking for depth and richness shouldn’t be disappointed. It has a chalky, matt finish and as it’s wipeable, you can able remove dirty fingerprints fairly easily. As a bonus, the formulation is eco-friendly with a low odour, while the two hour drying time means a fresher looking home in no time at all. Inexpensive, versatile and tough, this paint from Colours certainly ticks many boxes. With a silken finish, its great if you prefer a lighter touch over the heavier matt finish of the other paints on our list. 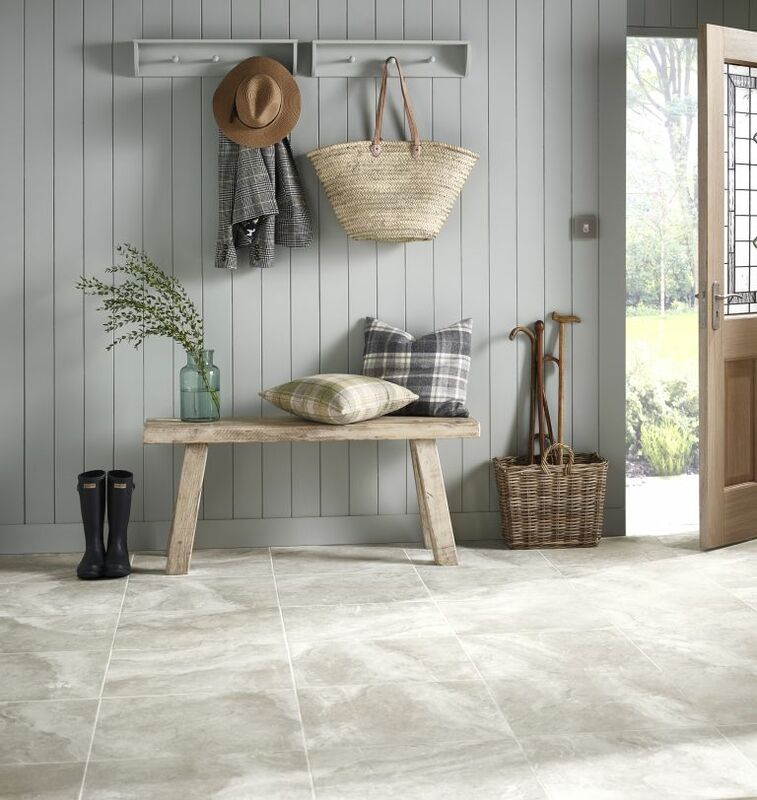 Colours suggest that this range only requires one coat, which makes touching up discoloured patches and giving your hallway a refresh super easy. Priced at just £10, this is the best washable paint option for busy households on a budget. If you require a hallway paint suitable for masonry, this one from Sandtex is probably one of the best you can choose. Thanks to its microseal technology, the paint provides a dirt resistant, waterproof and breathable cover, making it more than up to the job. With up to 27 colours to choose from, you’re not limited when it comes to choosing the right colour for your hallway masonry. The best washable paint for busy rooms in your home, we think.